Research tells us that 18.9% of Canadians aged 18 and over have chronic neck pain.1 And of these 18.9%, approximately half of them have suffered of neck pain for more then 10 years. In our chiropractic office in Vaughan, Ontario, we have seen hundreds of patients come in with neck complaints and neck pain. One of our objectives during our initial consultation and chiropractic examination is to help identify the underlying cause of neck pain. Many people resort to taking pills and drugs which only offer, at best, a temporary relief of the pain. Pills and drugs never, ever correct the underlying problem causing the neck pain. Questions about chiropractic care for headaches or migraines, call Back To Health Chiropractic Centre in Maple (Vaughan), Ontario. “Sit up straight.” “Don’t slouch.” These may have been the words of your mom or dad as you were growing up. Somehow parents innately know that poor posture is not normal and that poor posture is a problem. But why are parents correct to be so concerned about their child’s posture? Looking at the body from the front view, these body parts should line up in a normal standing position: mid forehead (midpoint between eyes) lines up midpoint of the upper lip, the midpoint of the chin, the midpoint of the sternum (chest bone) and the midpoint of pelvis). Looking at the body from the side view, these body parts should line up: the ear is in line with the mid shoulder, the mid hip and the ankle. Using handheld devices (mp3 players, cell phones, tablets, gaming devices). Poor sleeping habits (eg. using big fluffy pillows, stomach sleeping position). Why Is Poor Posture A Problem? Poor posture is a problem because can impact the spine and put strain on muscles, bones, discs and nerves. An optimal spine free of strain and stress is essential to optimal health. Why? Because the spine is responsible for protecting the spinal cord. The spinal cord is the connection between your brain and the rest of your body parts and organ systems. A shift in posture can cause a shift in the spine, known as a spinal misalignment. A shift in the spine puts pressure on the nervous system (spinal cord and spinal nerves), which could lead to muscle tension, pain, limited mobility and damage to organ systems. It is essential that the spinal cord and nerves are free of interference. An optimal spine means optimal health. If you are concerned about how your child’s posture looks, then consider bringing your child to a chiropractor for a postural and spinal check up. Chiropractors are experts in posture and spinal correction. Dr. Salubro provides chiropractic care to people all age groups. He has completed many post-graduate courses in techniques applicable to both children and adults. In addition to offering specific spinal adjustments and posture corrective techniques, Dr. Salubro offers an extensive line-up of health and wellness workshops, exercise classes and a run-walk club to his patients. is Webster Technique Certified, certified and recognized by the International Chiropractic Pediatric Association (ICPA). Dr. Salubro caters to the specialized care of infants and pregnant mothers. An article by guest author, Dr. Dmitri Sokolov of Healthy Kids & Family Chiropractic in Markham, Ontario. “Stress”, this is one of the most heard words in common social vocabulary, and still not many know how it impacts our health and how to overcome it. Chronic physical, chemical and emotional stress is the biggest contributor for developing serious conditions such as cardio-vascular diseases and cancer. Interestingly enough that those stressors are the same causes of postural dysfunctions, subluxation. It is obvious to everyone that by observing posture we can very close estimate an individual health state. Think about it, how do you initially determine a person’s state just by looking at them? What denominator you are using? Their posture! How do you know if person is angry? Their posture! How do you know if person is tired? Their posture! How do you know if person is upset? Their posture! Now you know why our parents and grandparents kept bugging us with the same statement “SIT STRAIGHT!” They never got tired saying it. Because they loved us and also because they knew, the better posture we have the more stress we can tolerate, we get less tired and ultimately we get healthier. Now let’s have look at science. Windsor et. al. studied 50 randomly and causation of their death and relation to the spine and nervous system. The result was astonishing. Scientists discovered 139 diseased organs that killed those people and 138 had direct correlation with the spinal misalignment and nervous system in the spine. 99.5 % of those randomly chosen people had chronic condition and abnormal posture and spinal misalignment. Since there is a very tight relationship between brain and the body, posture and spinal realignment is the key element to turn stress from causing the disease to cause healthy adaptation and healing. Neck pain is a very common problem affecting up to 70% of the adult population at some point in life. 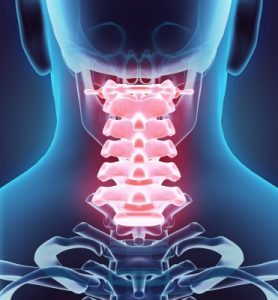 Though there are specific causes of neck pain such as arising from a sports injury, a car accident or “sleeping crooked,” the vast majority of the time, no direct cause can be identified and thus the term nonspecific is applied. There are many symptoms associated with patients complaining of neck pain and many of these symptoms can be confused with other conditions. Wouldn’t it be nice to know what neck related symptoms are most likely to respond to chiropractic manipulation before the treatment has started? This issue has been investigated with very favorable results! Posted in Chiropractic, Neck Pain | Comments Off on Neck Pain – Can Chiropractic Really Help? Did you hear? Fox News reported about a man who suffered a heart attack while dining at a popular Las Vegas restaurant and the restaurant is called Heart Attack Grill. Irony, you call it? Coincidence? Or was it a series of choices that led to an impactful wake-up call for this man? Luckily the paramedics arrived in time to help this man and reports say he is alive. More then likely this wasn’t due to a one-time meal at a high-calorie restaurant but due to a series of choices that culminated in a traumatic and life-threatening incident. At our clinic, Back To Health Chiropractic Centre, we teach about choices at our wellness workshops and lectures. I tell our patients that the choices you make today in life will shape your future. And if you want to live a life of your dreams and vision, the choices you make today absolutely matter. So you owe it to yourself to make the right choices for your health and your well-being, not just for now but for the rest of your life. 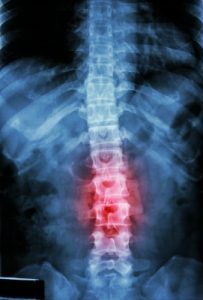 Maple (Vaughan), Ontario – It is common for people to seek treatment from chiropractors for low back pain, neck pain, headaches or even injuries from work and car accidents. These are conditions that are mostly seen in adults. Since a child will not typically complain of low back pain, neck pain or headaches, the parents may never see a reason to get their child checked by a chiropractor for a well exam or a spinal / posture check-up. However, regardless of any pain or symptom, a child may have spinal misalignments or posture displacements that could be putting strain on their nervous system. Since the nervous system controls and co-ordinates every function of the body, it’s imperative that the nervous system remains as stress-free as possible for optimal health, optimal growth and optimal body function. Consider this … spinal misalignments can occur at any time throughout the child’s growth, development and life. 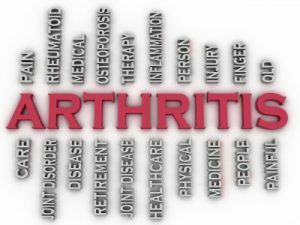 Today, I am writing a short book review of “Chiropractic First: The Fastest Growing Healthcare Choice … Before Drugs Or Surgery”, by Terry A. Rondberg, DC. 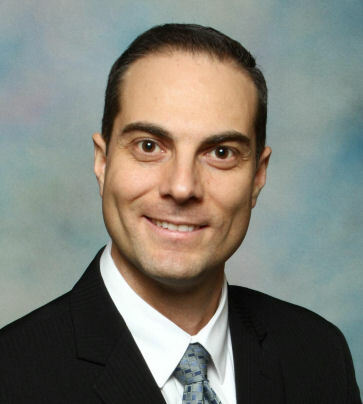 Dr. Rondberg is the CEO and founder of the World Chiropractic Alliance (WCA). If you are looking for a simple, yet thorough review and understanding of chiropractic, the chiropractic profession and how chiropractic works to help people get healthy and stay healthy, then “Chiropractic First” is a must read. We keep a copy of this book in our reception area for our patients to read and we often give it away as a gift to patients. “Chiropractic First” is a nice, easy-to-read and thorough review of what chiropractic is and how chiropractic helps people. The author does a super job of explaining the essence and purpose of chiropractic care, which is, the correction of nerve interference caused by subluxations (spinal misalignments). When it comes to the human body, many people are curious to how organs and body systems work. Well, this book goes on to describe the major organ systems of the body (like the heart, lungs, stomach), giving a simple explanation of their overall function. Of importance to people seeking a chiropractor for chiropractic care, the author explains what to expect during a typical chiropractic consultation, examination and the report of findings. This section is of great importance, especially for someone who is first visiting a chiropractor. There is a nice overiew of the benefits of chirorpactic care for children and as well for the elderly. Dr. Rondberg also goes on to show some of the latest chiropractic research that was available at the time of publication. “Chiropractic First” is an easy read and I highly recommend it to anyone who has never been to a chiropractor. It is also a very enlightening read for anyone who has or is currently seeing a chiropractor. Be sure to ask your family chiropractor about “Chiropractic First”, by Dr. Terry Rondberg. 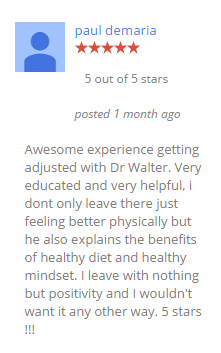 Another book review by Dr. Walter, family chiropractor at Back To Health Chiropractic Centre… a town of Maple chiropractic clinic (and a City of Vaughan chiropractic clinic). Leave a comment below. Thanks.